This is an ideal WooCommerce theme for hobbyist online stores. Your items look great with product zoom, quick view when hovering over an image, parallax effects, and the lazy load effect that makes loading faster for long web pages. Web forms are available for search, contact, and newsletter subscription. 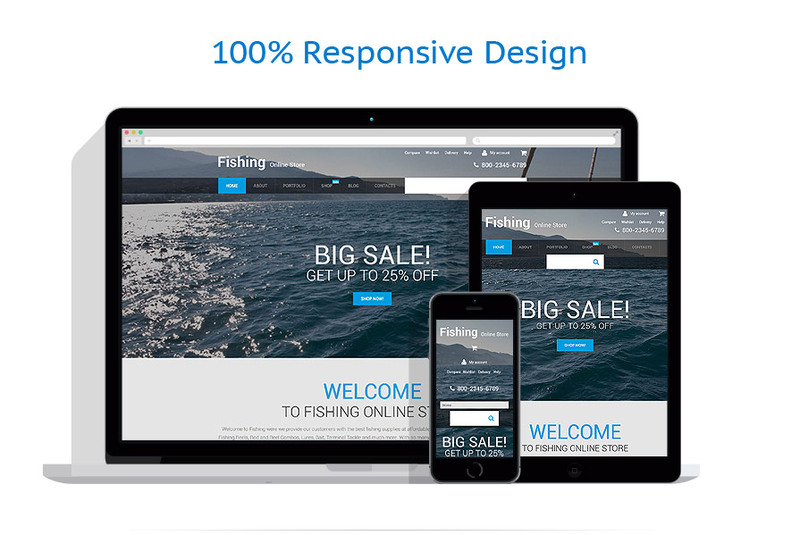 This fishing WooCommerce WordPress theme is a one-stop solution for online stores selling stuff for sports and hobbies. It includes a transparent dropdown menu with category badges, large immersive image blocks with parallax effect, advanced social media options and other features important for successful ecommerce. Its interactive Google map has been customized to match the color scheme and the overall style of the theme. This theme can be easily customized and extended via additional plugins that are compatible with WooCommerce. Its design is 100 responsive, so you can effectively serve your customers, whatever device they are using for web surfing. This template stands out from Best Premium WooCommerce Themes 2016. This responsive WooCommerce theme can be used for Sport, Travel, Hobbies Crafts, and Maintenance Services online stores.